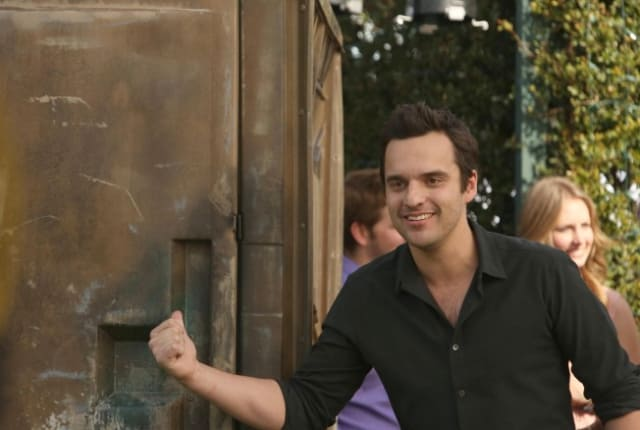 Watch New Girl Season 2 Episode 18 online via TV Fanatic with over 7 options to watch the New Girl S2E18 full episode. Affiliates with free and paid streaming include Amazon, iTunes, Vudu, Netflix, YouTube Purchase, Google Play, and Verizon On Demand. Nick and Schmidt plan a party to celebrate their tenth anniversary as roommates, and Jess looks to date a football player, on New Girl. I wish I knew what was going on in Nick's head. He's like a...grumpy mystery. Ten years? You guys are like Bert and Ernie. Permalink: Ten years? You guys are like Bert and Ernie.